Don’t Let a Massachusetts Drug Charge Ruin Your Life! 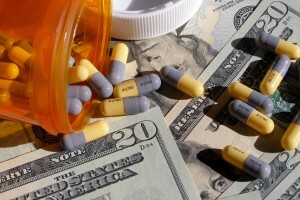 Are you facing drug charges in Massachusetts? I understand what you are going through, and I commend you for finding this web site to research your situation. Taking action to fight back is a smart move. Remember, being arrested is not the same thing as being guilty! We are experienced criminal defense attorneys who have helped many people just like you. There are many possible defenses we can present depending on the facts of your case including motions to suppress the evidence against you on grounds of illegal search and seizure. Police make mistakes in drug arrests all the time. It’s our job to keep the system fair for you, and make sure none of your constitutional and legal rights have been violated. Whatever happened to you, you have rights and options. We can discuss the next steps over the phone in minutes. By calling, you have nothing to lose. I’ll be happy to talk with you and discuss your case before you decide if you want to hire me. Defending people accused of crimes is what I do. Call now for a free consultation. While marijuana possession of under 1oz has been decriminalized, possession of greater than an ounce is still a serious charge. And other controlled substances have considerable penalties for many charges, and a real risk of a career threatening and life changing criminal conviction on your record. When you’re ready, give me a call to set up a free consultation and I can answer specific questions about your case, and offer you some legal advice from someone who has defended these cases countless times. My initial consultation is always free, so there is no obligation. Call me at (781) 817-6332. There are many excellent ways to beat drug charges, or avoid a criminal record in many cases. We can discuss the best strategies that may be appropriate for your individual situation in a free consultation. 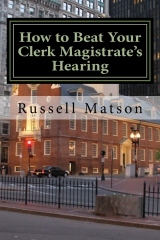 If you are issued a criminal summons, there is often a good chance to beat the case immediately at a Clerk Magistrate’s Hearing. I wrote an entire book on how to win at these hearings. In other cases, winning a case usually means beating the charges via a motion to suppress the evidence against you, typically on grounds of illegal search. Otherwise, I consider avoiding a criminal record a win if we can negotiate an alternative sentence. Drug types are classified under 5 different substance categories in Massachusetts: Class A, Class B, Class C, Class D, and Class E controlled substances. These classifications are the Commonwealth’s version of the Federal Drug Schedules. They are similar to Schedule I-V, but there are a few differences. Class A Substances The vast majority of all possession of a Class A substance charges are from Heroin. The category also can include some other opiates; some designer drugs such as GHB; and Ketamine (Special K). MDMA (Methylenedioxymethamphetamine), commonly known as Ecstasy, XTC, X, or “Molly”. 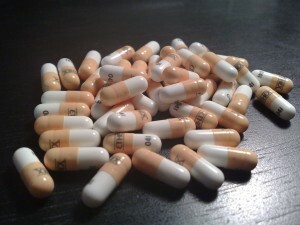 Some medium doses of prescription narcotics and commonly abused prescriptions stimulants and ADD drugs like Adderall, Dexedrine, and Ritalin. Class D substances include marijuana / pot (most common), Chloral hydrate, phenobarbital, and some lesser doses of prescription narcotics. Simple possession of marijuana is decriminalized in quantities of 1oz or less, but people can still be busted on trumped up distribution charges, even with a small amount, and of course if you have more than an ounce on you. Although almost any possession of more than an ounce of cannabis, they will likely try to make into an intent to distribute charge. Class E substance charges are typically for lighter doses of prescription narcotics containing codeine (Tylenol #3), morphine, or opium. Also other unclassified drugs include various tranquilizers and medicine like Xanax (Niravam, Alprazolam), Quetiapine (Seroquel), Klonopin/clonazepam/Clonidine, Gabapentin, Trazodone, Buproprion (Wellbutrin). The quantities of the drugs, circumstances, or other factors involved dictate whether the police charge you with possession, intent to distribute, or trafficking. For more details on possible charges and sentences you are facing refer to my Drug Possession, Drug Distribution, or Drug Trafficking pages. If you are charged with any criminal drug-related possession charge in Massachusetts, including drug possession, intent to distribute, school zone, conspiracy to violate drug laws, possession of drug paraphernalia or needles, or any other drug related or criminal charge, you need an experienced MA criminal attorney to work you and protect your rights. Whether you intend to fight the charges at trial, or want to negotiate a deal with the DA. We are in courts all across Massachusetts every day defending clients just like you, accused of criminal drug possession charges. Call now to get help immediately.